Summer is upon us. People here in the northeast coast has been waiting for this season since wintertime. Memorial day has come past and the signs of a warm summer ahead are abound in and around the city. People are preparing to travel on those long-distance trips and bring out their dusty traveling gear out of the closet. So why get stuck in the 4 corners of your house when you can go out and travel without breaking the bank? 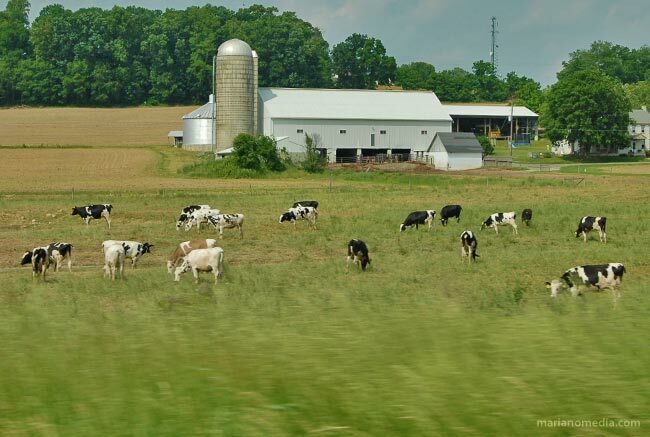 The featured photo is from a farm in Pennsylvania, a good to 2 hours drive from NYC. They have attractions that are family friendly like visiting the Amish countryside, Hershey’s factory and of course a trip to Philadelphia is a definitely a must-see especially for those history buffs. photo will have a bit of depth even while your shot seems something like that is as common as the postcards that you see in the souvenir shops. 2.) It helps to pre-visualize what you want to capture in conjunction with a bit of careful planning and research where you plan to pass-by. This will help you plan out which places of interest that you want to shoot from the road and the type of lens/camera combination that you will be bringing. As a rule of thumb, a combination of a normal zoom lens (28mm to 70mm) and a telephoto lens (70-200) is a good way to cover your range of photographic subjects. The telephoto lens will definitely help you pick-out subjects of interest, but do be mindful of setting your shutter speed/ISO setting higher esp. if you are using a longer lens. 3.) Having a stable platform to shoot from while inside the vehicle helps. If you have a beanbag or a pillow case to act as a makeshift tripod, it will help stabilize your camera and lens. Bringing down the window helps avoid nasty reflections on your photograph. If you can’t bring down your windows, try pressing the lens of your camera as close to the window as possible to avoid any unwanted glare. 4.) Last but not the least – carry lots of memory cards and batteries as you might not be able to charge until you get to your hotel, resort or final destination. A laptop or portable media device is a good alternative to just bringing memory cards. At least by the end of the day you can view your photos and learn what other shots you need to take. So this summertime whether you are out in the field for vacation or an assignment, do not leave your camera at home when you travel! Have a great summer ahead and a safe passage to all!